The bodies were recovered from the snow after the rescue team cleared the debris. Pahalgam: Three persons died on Friday in an avalanche that occurred near the Gudkhamb point at Aru in Pahalgam area of south Kashmir’s Anantnag district. 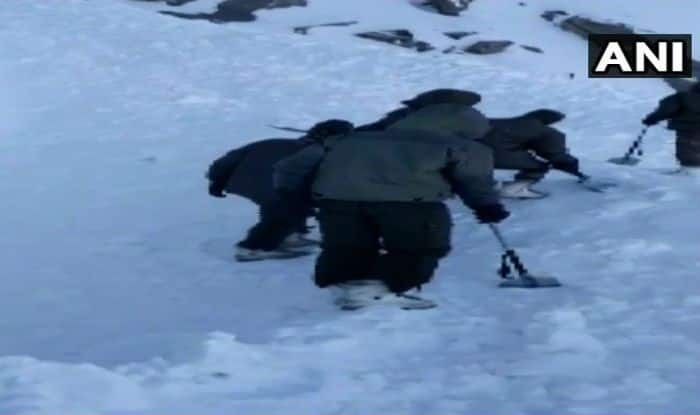 As soon the news of the incident came to light, the Anantnagar Police team reached the spot and managed to rescue the three caught in the avalanche. However, two persons were declared brought dead at the Pahalgam Civil hospital. The third victim namely Javid Ahmad Sheikh who was shifted to Anantnagar hospital later succumbed to his injuries. Meanwhile, two people were killed in an avalanche in Jammu and Kashmir on January 22 after rain and snowfall lashed various parts of north India, stated officials. In Jammu and Kashmir, a 12-year-old girl was reported to one among the two persons who had died ain the avalanche that struck a mountain village in Ramban district, according to officials said. Apart from the loss of lives, two more women had reportedly gone missing, added the official. The Jammu-Srinagar national highway — the only all-weather road linking Kashmir with the rest of the country — was closed after an avalanche blocked both tubes of the Jawahar tunnel on the Qazigund side at 4.25 am, police said.